Description: Boomslang AEM EMS-4 Plug N Play Harness for Scion xA / xB 2004 2005 BF14047. The Scion xA / xB AEM EMS-4 PNP Harness by Boomslang is the only way to go. This Harness adapts the AEM EMS-4 to your factory ECU with no wire splicing whatsoever! Description: Boomslang AEM EMS-4 Plug N Play Harness for Scion xA / xB 2006 BF14048. The Scion xA / xB AEM EMS-4 PNP Harness by Boomslang is the only way to go. This Harness adapts the AEM EMS-4 to your factory ECU with no wire splicing whatsoever! 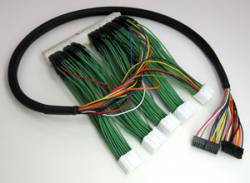 Description: Boomslang AEM F/IC-6 Plug N Play Harness for Scion xA / xB 2004 2005 BF12004. The Scion xA / xB AEM F/IC6 PNP Harness by Boomslang is the only way to go. This Harness adapts the AEM F/IC-6 to your factory ECU with no wire splicing! 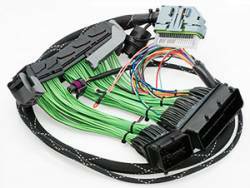 Description: Boomslang AEM F/IC-6 Plug N Play Harness for Scion xA / xB 2006 BF12015. The Scion xA / xB AEM F/IC6 PNP Harness by Boomslang is the only way to go. This Harness adapts the AEM F/IC-6 to your factory ECU with no wire splicing!